BMW has started promoting its smallest M car, the BMW M2 Competition on its India website. This makes a think that the company is readying the sportscar for an India launch, possibly during the festive season. 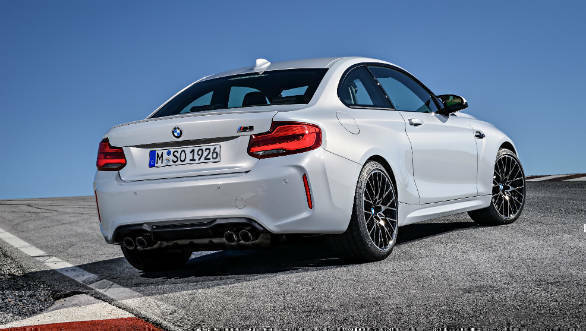 The M2 Competition is a rear wheel drive coupe smaller in size than the M4 but powered by the 3.0-litre twin-turbo straight six from the M3/M4. 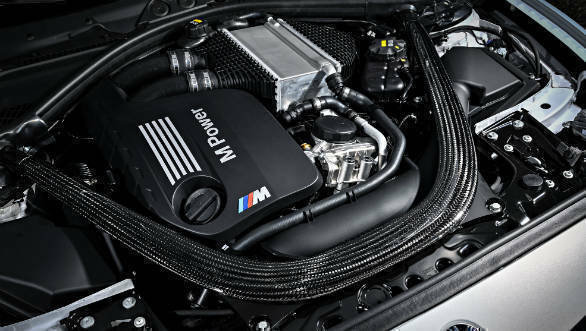 In the M2 Competition, this engine produces 405PS and 550Nm, increases of 40PS and 85Nm, respectively, over the standard M2 which came with a single-turbo motor. A six-speed manual with auto rev-matching is available but a seven-speed dual-clutch transmission is the one we will get here. The M2 Competition gets from standstill to 100 kmph in 4.2s with the DCT, or 4.4 with the manual, improvements of 0.2 seconds over the standard M2. Other changes new to the M2 Competition are chassis improvements borrowed from its M3/M4 siblings, aluminium-intensive front and rear axles which are stronger and improve stability, a carbon fibre strut brace in the engine bay from the M3/M4 to aid front-end rigidity and a new exhaust system with two electronically controlled flaps. 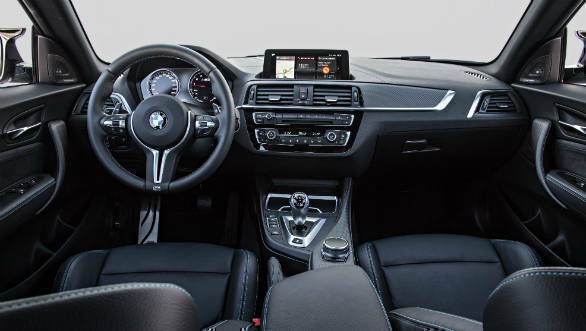 The new car also comes with recalibrated steering and stability control systems, larger M Sport brakes and 254/35-series front and 265/35-series rear tyres shod on 19-inch wheels. Top speed is limited to 250 kmph but can be increased to 280 kmph if specified with the M Drivers Package. Prices haven't been announced yet but the car will most likely be priced around the Rs 80 lakh mark. 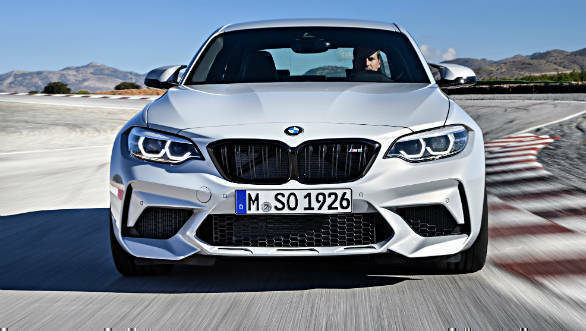 The BMW M2 Competition will compete with the Audi TT RS and Porsche 718 Cayman. On paper, the M2 Competition seems to have turned into a mini-M4 and will hopefully provide the rich, exciting driving experience that earlier, smaller versions of that car have provided over the years.